Sitting at the very top of Lake Wakatipu, 46km north of Queenstown, is the small village of Glenorchy. 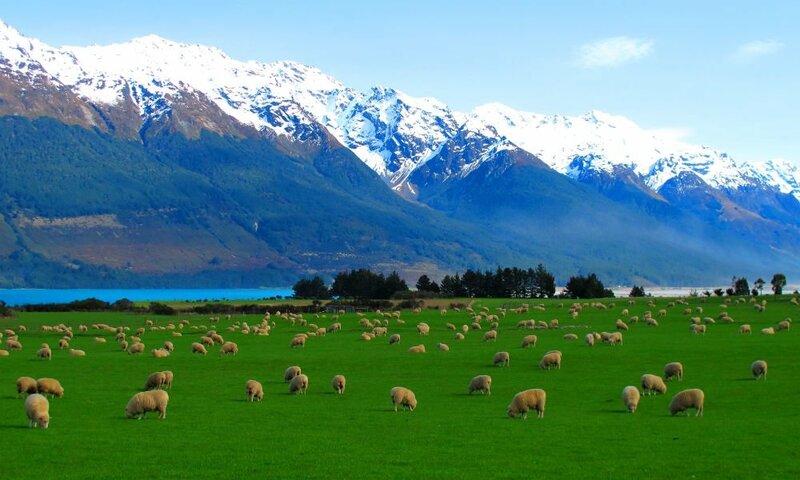 Surrounded by the spectacular Humboldt and Richardson Mountain Ranges, it's a great 'leaping off' point for those wishing to explore both Fiordland and Mount Aspiring National Parks, as well as the Rees and Routeburn Valleys. 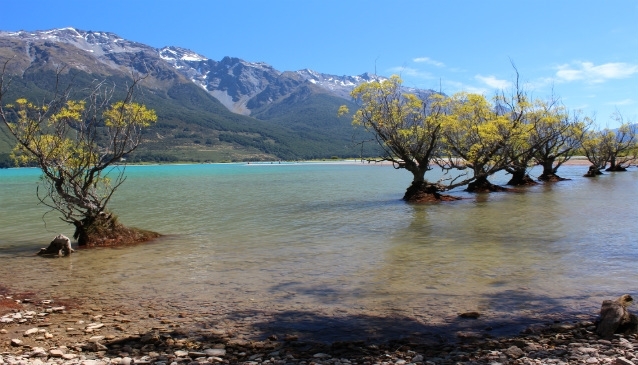 Film buffs come here to seek out Paradise, just north of Glenorchy, which was used in Peter Jackson's "The Two Towers" for the scene where Boromir lay dying. But you don't have to rely on fantasy to get a magical experience here. 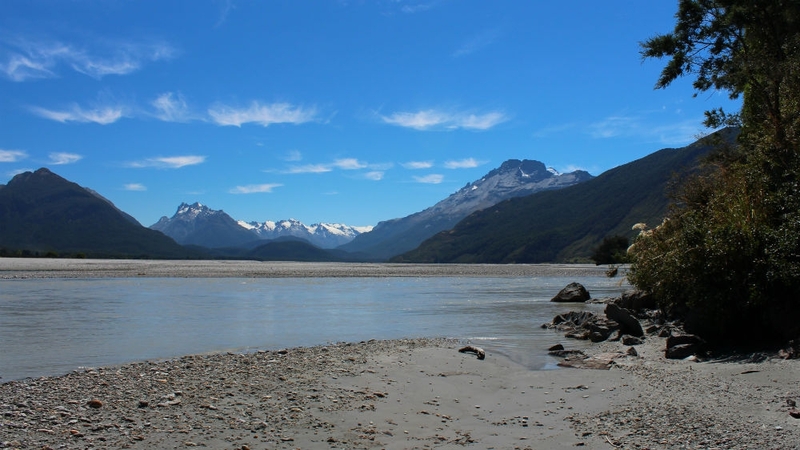 There are numerous tramping tracks around Glenorchy, for both casual and serious walkers, and all offer some of the most stunning scenery in New Zealand. 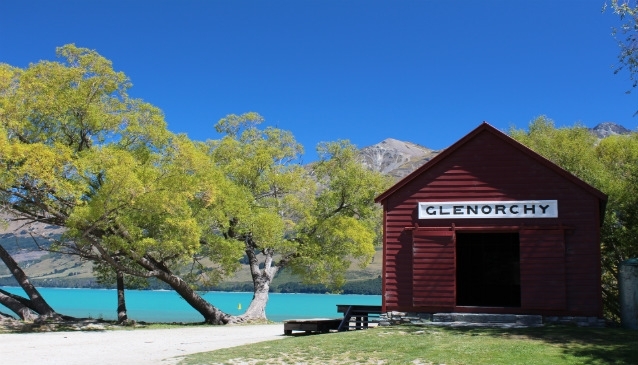 The village has one main hotel, the Glenorchy Hotel, which also provides hostel accommodation and contains the village's only restaurant and bar. 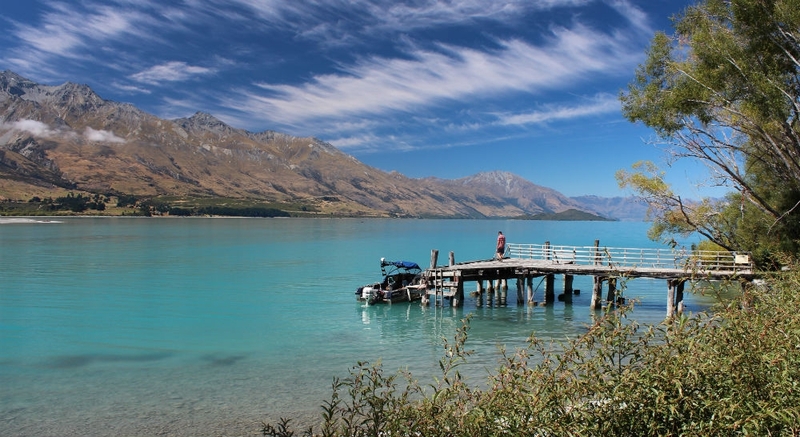 Nearby is Glenorchy Campground, plus there are plenty of activities such as horseriding, kayaking, jetboating, canyoning, skydiving and scenic flight safaris, which is probably the best way to get the most out of this amazing landscape. 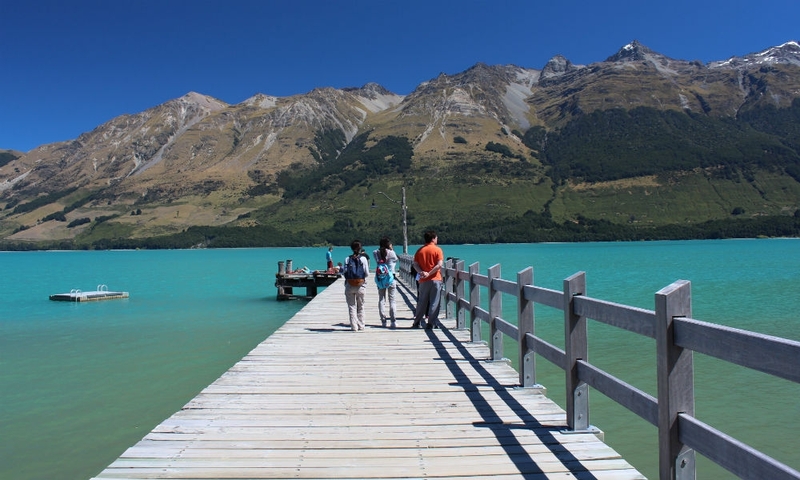 Why not get up close and personal with the mountains and lakes, and take an overnight guided horse trek through Lord Of The Rings country, camping out in the wilds, and waking to the sight of a golden dawn over Lake Wakatipu? There are also plenty of multi-day walks and guided tours to ensure you see everything worth seeing. In the heart of Glenorchy, there's a golf course, with views of the awesome, snow-capped mountains as you tee off beside Glenorchy Lagoon. Visit in January, and join in the fun on Glenorchy Race Day, a raucous Kiwi tradition going back forty years, with lots of trophies to compete for and a great party afterwards. 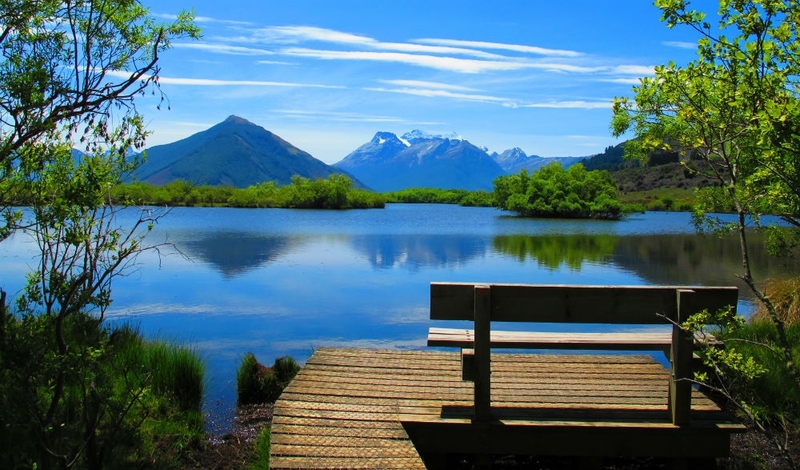 Alternatively, simply pull on your walking boots and take yourself off on a day walk around the Routeburn Track, or a shorter, circular stroll around Glenorchy Lagoon, before heading over to Glenorchy Hotel for high tea and sandwiches. 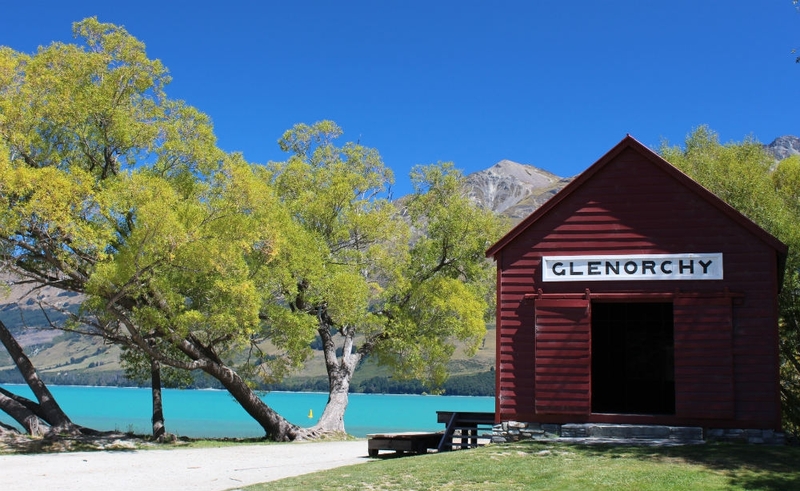 Just 26 kilometres from Glenorchy is Kinloch, a good base for walks given its location halfway between the Routeburn Track and the Greenstone and Caples tracks. 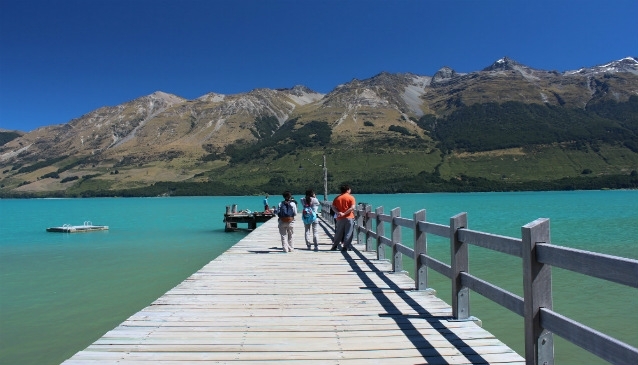 Kinloch has a Department of Conservation campsite by Lake Wakatipu and the Kinloch Lodge which includes a cafe and restaurant.